We have been long time customers of Buy in Baby. Her moccasins are SO cheap and we have owned SEVERAL pairs (9 I think now! ), we've also purchased a couple leggings. And I've always loved the items. She is a wholesaler so she gets these items and can provide them for dirt cheap! She's definitely worth looking in to!! These leggings are a nice thick material. They aren't your typical cheapy leggings that are thin and don't last long, they ar very nice quality and great for the $9 price!!! We got the Hard Sole moccs in an 18/24 month and they are a little bit big still, but will be perfect for this fall. I love that they have a clear sole!! You can see little baby toes in them! You can remove the insole to check through the clear bottom and see if you need to size up! We will be in Disney from August 16-22 (and then Tampa on the 22 and 23) so having these was a priority for that and I'm so happy we get to take these Moccasins with us!! They will be adorable with his Mickey shirt!! These leggings we got are HUGE!! I'm not sure which size they are, but they're even big on my 3T son! I'm guessing they might be a 3/4 size, but he can wear then next year! These are with other moccs we have from Buy in Baby! Everything of Danielle's is super high quality and we love all of our items. The hats are super adorable too, one is slouchy and the other is just a basic hat.I'm so happy to have the Hard Sole moccs for this Fall, a little more stability for the cold ground that's coming. The leggings and hats are perfect for Fall too. 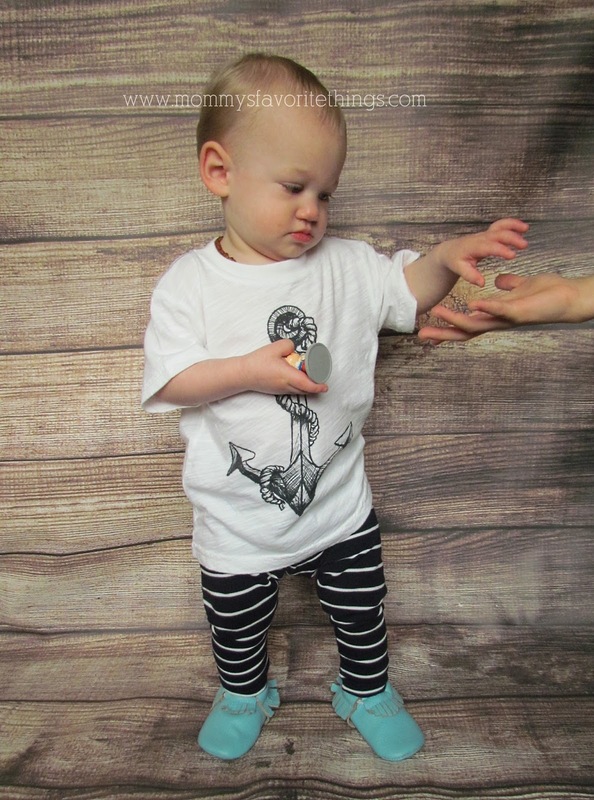 Her regular moccs and Hard Sole only come in sizes 0-6m to 18-24m. She has some larger moccs as well at a higher price, but they're still worth it. Price: Leggings are on sale for $9, arrow leggings are $10.50, Mouse moccs/solid color moccs are $13 and her hard sole moccs are $24. Hats are only $4!! Overall: ***** We love Danielle's items at Buy in Baby and will continue to buy as long as we fit in her items! One reader has the chance to win a $25 Certificate which will get you some lovely items!! I would get the slate gray KINGHOO hard sole moccasins. 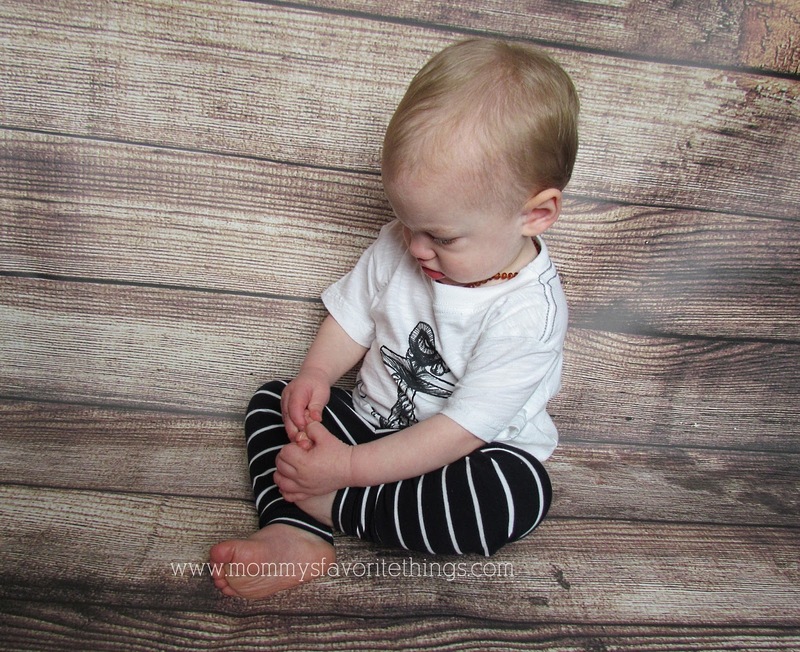 I am a big fan of their Straight and Arrow leggings for my little man. I love the KingHoo moccs in brown! Love the Magenta suede mocossins. I would get the bow moccs in metallic white for my daughter. id love the purplish red and navy blue moccs in 18-24mo! 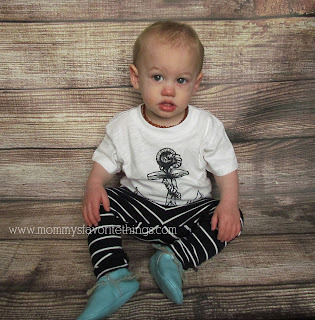 I would buy a pair of moccs for my sweet grandson, thanks! I cant even handle how cute the bunny hat with a cape is!!!! I love the Little Hearts leggings!! Perfect for my little girl. I think I might get some of the hard soled moccasins, they are so cute and have lots of colors available too. I would get a white bunny blue shirt Metoo doll. I would definitely get the Straight and Arrow Leggings and the Bunny hat with Cape!! Love the animal socks too! !